The last few decades have seen the world surge towards a fully digitized environment. Experts in all the industries ranging from financing, technology, and even healthcare are looking for ways to make their respective industries fully digital. The recent emergence of cryptocurrencies backed by blockchain technology has seen a new paradigm shift in the finance and investment sectors. 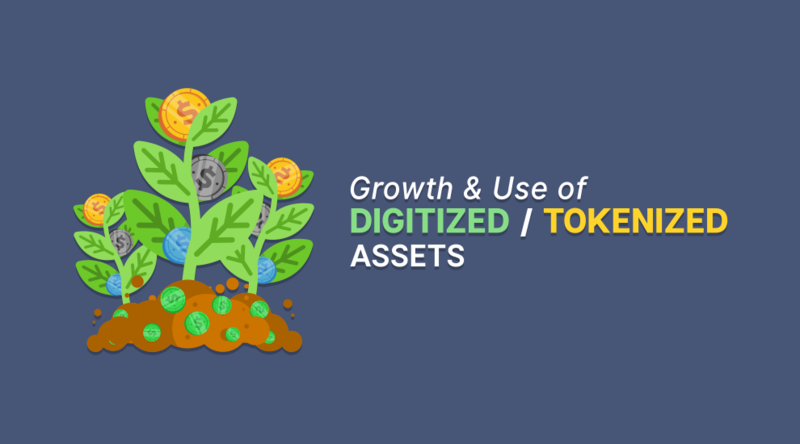 The creation of digitized or tokenized assets is growing by leaps and bounds. It is surprising to note that these assets have been growing in popularity and application over the years. The majority of these digital assets/tokens were backed by blockchain technology. The concept of a digital asset/token can be overwhelming to someone hearing it for the first time. A good place to start would be to go back in time. A long time ago, gold was the standard and the sign of wealth. People became rich by amassing as much gold as possible. Storing the gold at one’s home or place of residence was very risky. The gold owners would probably give a portion of their gold to a goldsmith. The goldsmith would issue the gold owner a certificate that indicated the ownership of gold. The certificate could be sold or given to anyone. A person who held the certificate was as good as a person who held physical gold. This kind of certificate is known as an IOU (I Owe You). This was an early form of a token. Fast forward to the present day of blockchain technology and you can see a similarity with ancient civilization. Digital assets/tokens are a digital representation of something of value. Digital assets can represent anything ranging from gold, oil or even an idea. Yes, there are people who are willing to invest in an idea if they believe that it will be worth something in the future. A prime example of this is cryptocurrencies, particularly Bitcoin. The people who initially invested in it believed in the idea of the decentralization and democratization of the monetary system. 2017 was a landmark or even a watershed year because of the exponential increase in the number of people investing in digital assets/tokens. The values of Initial Coin Offerings (ICOs) rose tremendously in 2017 due to several factors. The graph below says it all about this meteoric rise of ICOs and digital assets/tokens. The digital assets/tokens are not listed here by virtue of their price or market capitalization. They are presented here simply because they are digital assets/tokens backed by real and physical assets. You can see a longer, and older list here. ZenGold is a Chinese cryptocurrency established in May 2017. The currency relies on the Metaverse blockchain technology. The currency accepted other cryptocurrencies (ETP, Bitcoin, and Ether) during its ICO. 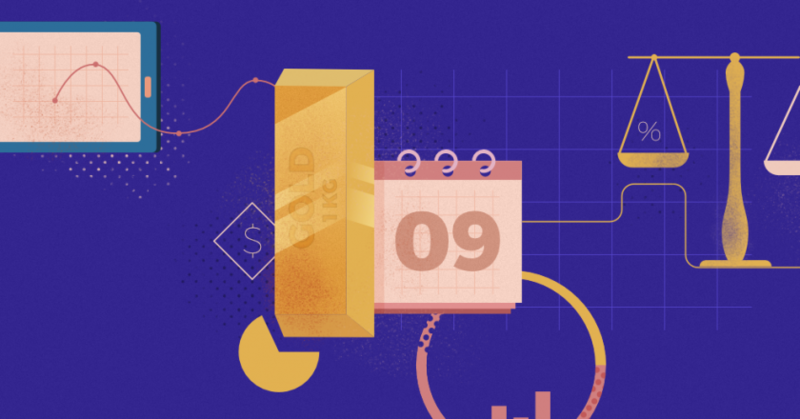 ZenGold capped its tokens at 100 million and a minimum of 63 million are currently in circulation. What’s interesting about ZenGold is that it has both coins and tokens. The ZenGold token (ZNG) is a digital currency equivalent to a gold gram. The ZenGold (ZGC) coins represent shares in the company. The ZenGold token is meant to reduce the volatility of cryptocurrencies by equating the token to gold. Gold is real and has tangible value. The Brickblock aims to simplify investments. It uses smart contracts to enable people to invest in real estate without worrying about geographical jurisdictions, transactions fees, and waiting periods. The LAToken (Liquid Asset Tokenization) is different from other asset-backed tokens in one special way. Other asset-backed tokens can only digitize one asset. However, the LAToken can be used to digitize and virtualize any real and physical asset you can think of. This can be art, real estate, etc. The following information was obtained from the data of 53 ICOs that managed to raise a minimum of $10 million. The obtained data was used to draw up the graph shown below. It can be shown from the graph that Singapore, Switzerland, and the Cayman Islands had the largest number of the most successful ICOs. Singapore’s successful ICOs have largely depended on the country’s position on ICOs. The country’s financial arm has warned investors to be cautious when approaching Initial Coin Offerings but has not outrightly condemned them. The country is currently in a period of growth and is doing all it can to support financial technology. Switzerland is known for its neutrality during the World Wars and being a safe-haven for offshore account holders. Home to Crypto Valley, the country is a favorable ground for crypto-related ventures. 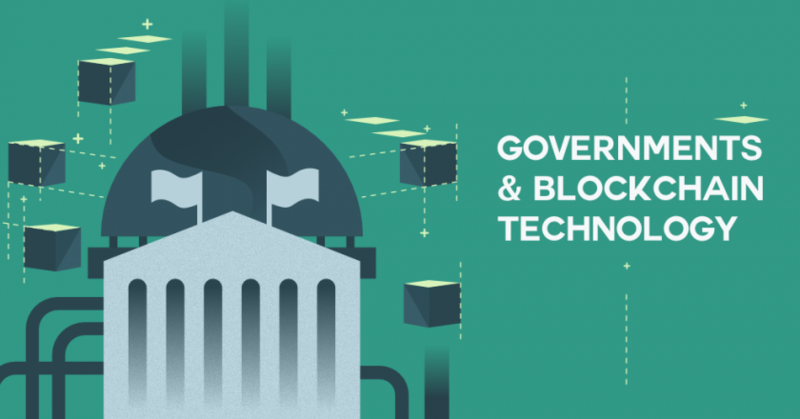 It is more encouraging to note that the government is favorable towards ICO projects. The Cayman Islands isn’t a country but a British Overseas Territory. This territory continues to attract crypto investments because its authorities have not been harsh with the crypto market. Although they have highlighted that they are still looking into the crypto market, it is expected that they will put a favorable legal framework in place. There are a few other countries that are not on the list. One of them is Gibraltar. Gibraltar is a very small U.K. territory that is still looking for means to grow itself. Whilst established countries such as America and China are cracking down on cryptocurrencies, these small territories are welcoming them so that they can find the necessary growth that they need. The year 2017 was just the beginning of many things to come. As many people and countries begin to appreciate digital tokens backed by real assets, it is clear that many assets will be tokenized. A very good example is what’s happening now, as some governments are starting to create cryptocurrencies backed by oil, fiat, or other assets. Digital tokens can be to assets what bank accounts are to money.